What is disposable income in a New Jersey bankruptcy? If your gross monthly income according to the means test is over the median income for your family in New Jersey, then that test is used to see if you have excess income that can fund a chapter 13 plan of repayment. If the DI amount is a positive number, and a significant amount (which changes with inflation), then a presumption of abuse will arise that could prevent you from filing a chapter 7. In a chapter 13, it becomes the amount that determines how much you would have to pay into a plan over five (5) years. This is a calculation that simply takes your total monthly net income and deducts all monthly expenses that are reasonable and necessary for your support or that of a dependent. The amount of money left over, if any, is the DI. Even if there is no presumption of bad faith under means testing, there can still be a finding of bad faith by the court if you file a chapter 7 with a significant amount of disposable income available to pay creditors. Determining this amount (under either analysis) is not as simple as it sounds. If you live in southern New Jersey and are considering bankruptcy or just have questions about whether your disposable income may limit your options, please call my office at 856-432-4113 or contact me through this site to schedule a free consultation in my Woodbury office. How Much Will I Have to Pay per Month in a Chapter 13 Plan? 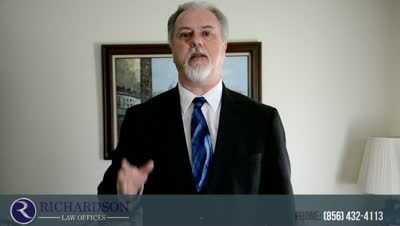 ?Will a bankruptcy filing hold up my NJ divorce? ?What is a bankruptcy discharge? ?What is a Debtor Education Certificate in Bankruptcy?